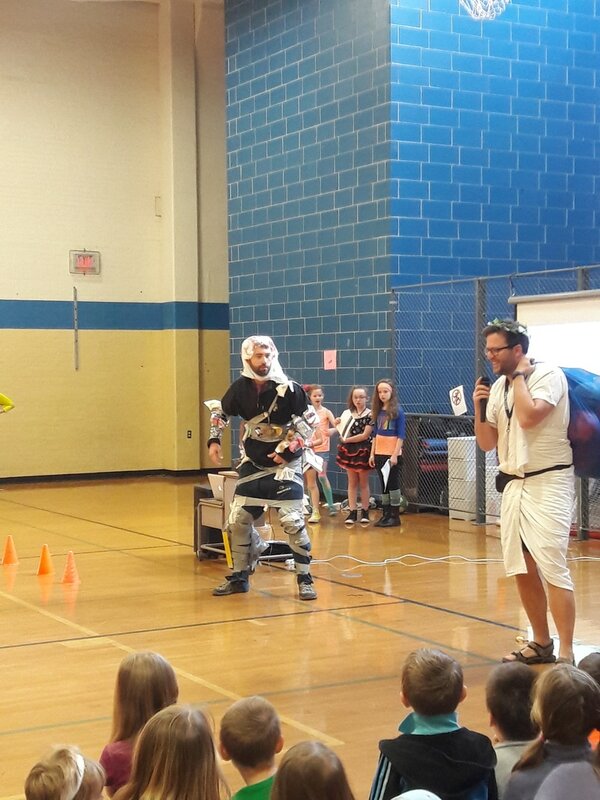 Fun at an assembly highlighting the virtue of cleanliness. 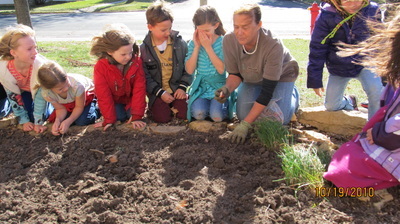 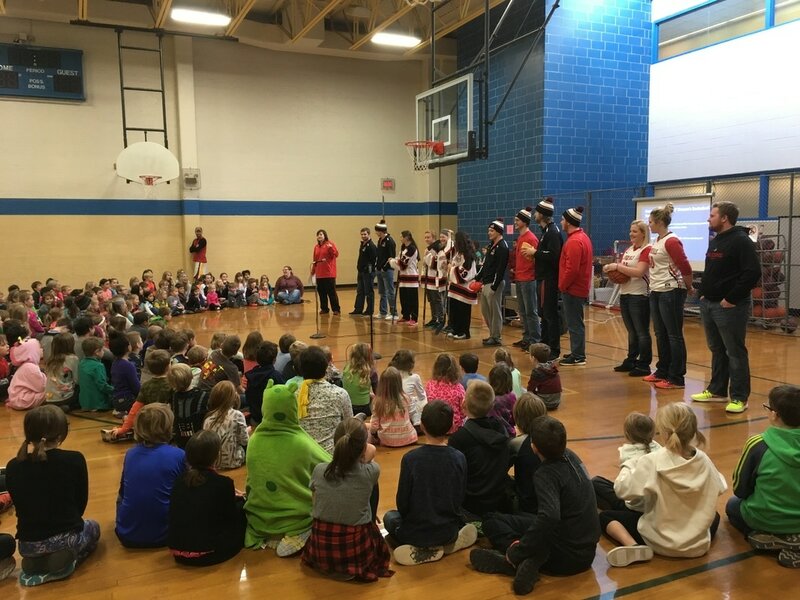 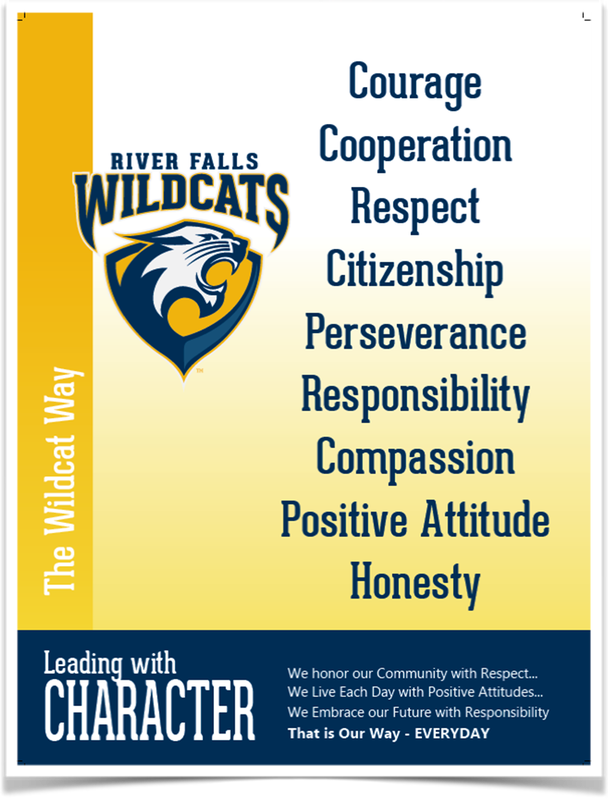 CHARACTER ASSEMBLY: This month's character education assembly at the River Falls Public Montessori featured the virtues of Kindness and Respect. 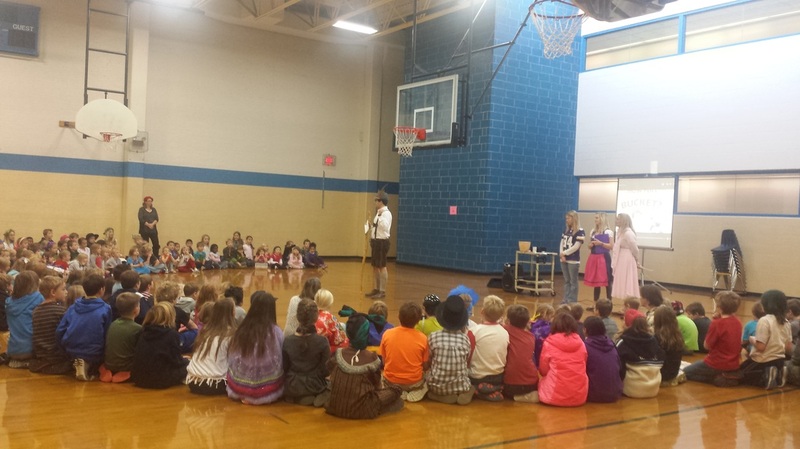 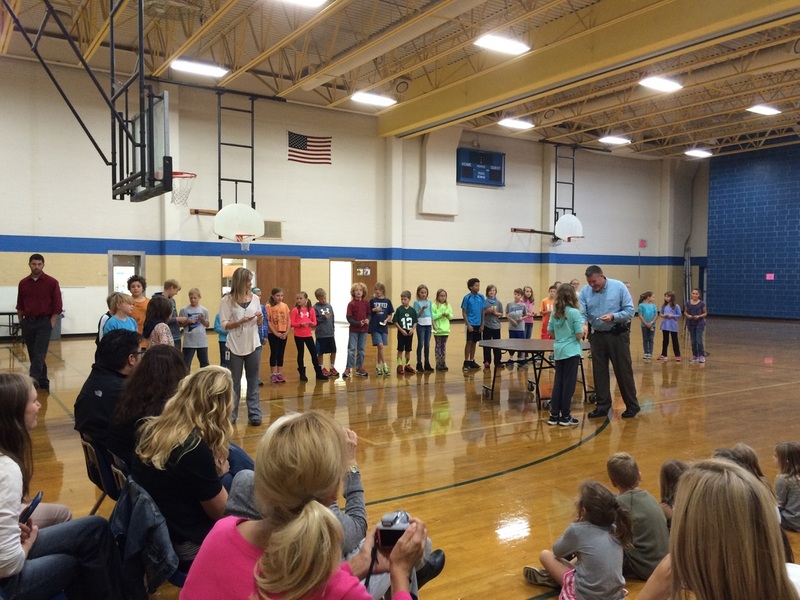 Character Thespians: A group of our upper elementary students create skits that exemplify their monthly character traits. 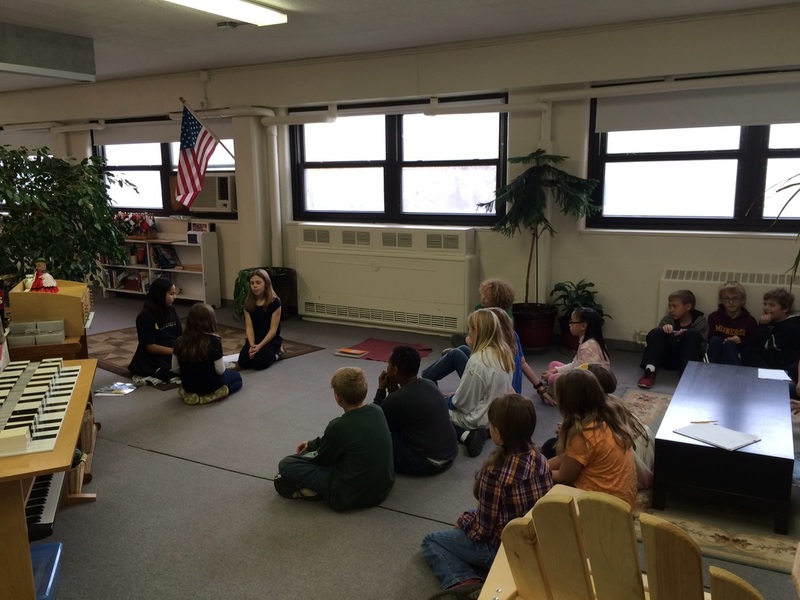 This group is presenting to another upper elementary class about kindness. 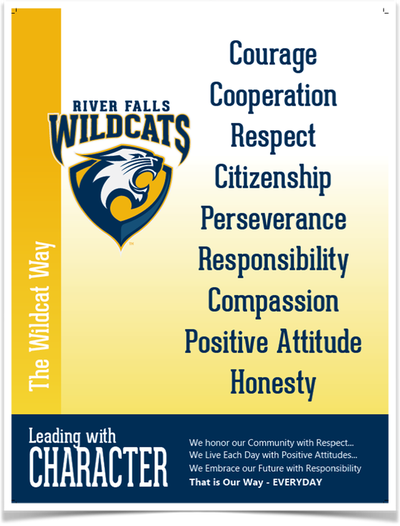 "Student Patrol Swear-In Ceremony With Officer Gottfredsen"
The Leadership Council at River Falls Public Montessori creates attributes of strong leaders to use as norms for future meetings. 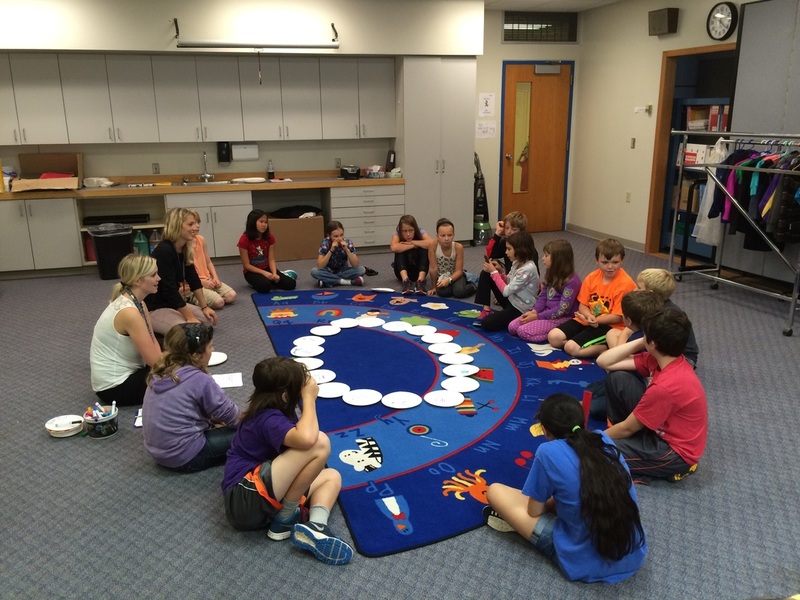 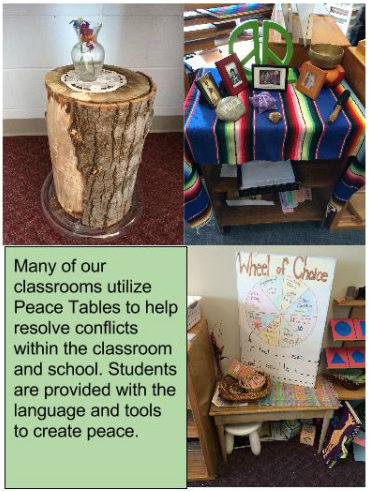 A talking circle from Restorative Justice is used to create these norms. 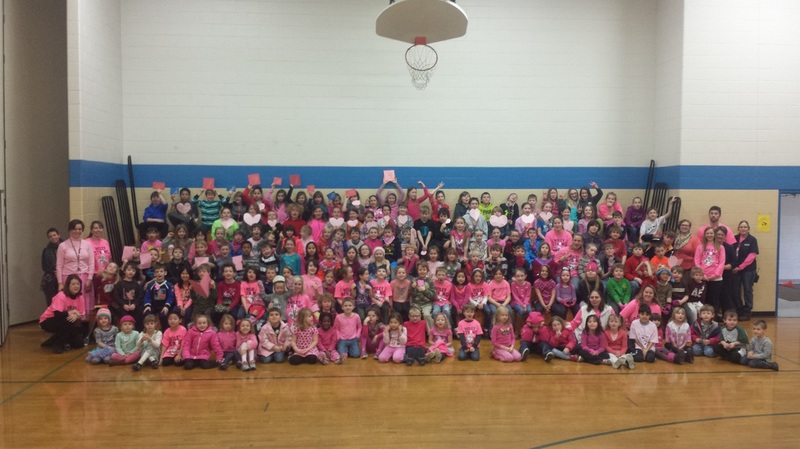 The River Falls School community raised $2,500 for the Susan G. Komen Foundation--FEB 3, 2015.